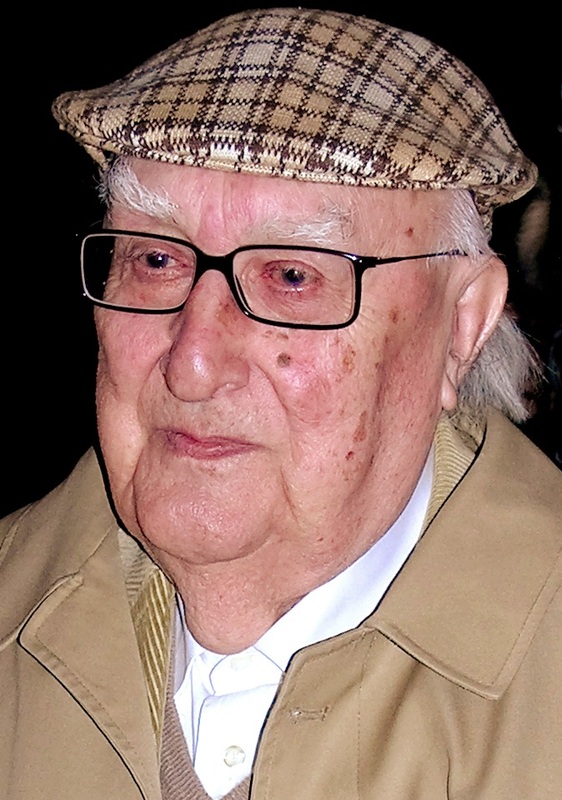 Writer and film producer Andrea Camilleri was born on this day in 1925 in Porto Empedocle in Sicily. Famous for creating the fictional character Inspector Montalbano, Camilleri is a prolific, best-selling novelist who has generated worldwide interest in the culture and landscapes of Sicily. Camilleri studied literature and although he never completed his course he began to write poems and short stories. He was taught stage and film direction and became a director and a screen writer. He worked on several television productions for RAI, including the Inspector Maigret series. He wrote his first novel in 1978 but it was not until 1992 that one of his novels, La stagione della caccia - The Hunting Season - became a best seller. In 1994 Camilleri published La forma dell’acqua - The Shape of Water - which was the first novel to feature the character of Inspector Montalbano, a detective serving the police in Vigàta, an imaginary Sicilian town. The book was written in Italian but had a real Sicilian flavour, with local phrases and sayings and descriptions of the classic Sicilian dishes particularly favoured by Montalbano. When the series was adapted for Italian television, featuring Luca Zingaretti as Montalbano, the popularity of the books increased even more. Camilleri’s home town, Porto Empedocle, on which Vigàta is modelled, has now changed its name to Porto Empedocle Vigàta to encourage tourism still further. In 2012, Camilleri’s novel The Potter’s Field, translated into English by Stephen Sartorelli, was announced as the winner of the Crime Writers’ Association International Dagger. Camilleri currently lives in Rome where he works as a TV and theatre director. He has now written 24 Inspector Montalbano novels, whch have sold millions of copies. The translated versions have also sold well in the UK, Australia and America and the Montalbano TV series has become popular in the UK. 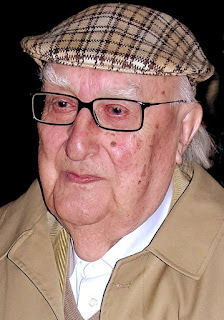 Well-known in Italy as a heavy smoker, Camilleri celebrated his 91st birthday today. Sicily is the largest island in the Mediterranean and, along with its surrounding small islands, a region of Italy. It has the tallest active volcano in Europe, Mount Etna, which casts black ash over the island with its constant eruptions. The island of Lampedusa, part of the Sicilian province of Agrigento, is the southernmost part of Italy, just 113 kilometres away from Tunisia. Porto Empedocle, the birthplace of Camilleri, is a port town on the coast of the Strait of Sicily in the province of Agrigento. One of the main sights is the Torre del Caricatore di Girgenti, which was commissioned by the Holy Roman Emperor, Charles VI, to protect the area’s grain reserves. Blade of Light, the latest Inspector Montalbano mystery by Andrea Camilleri, is available now. Also available in paperback.